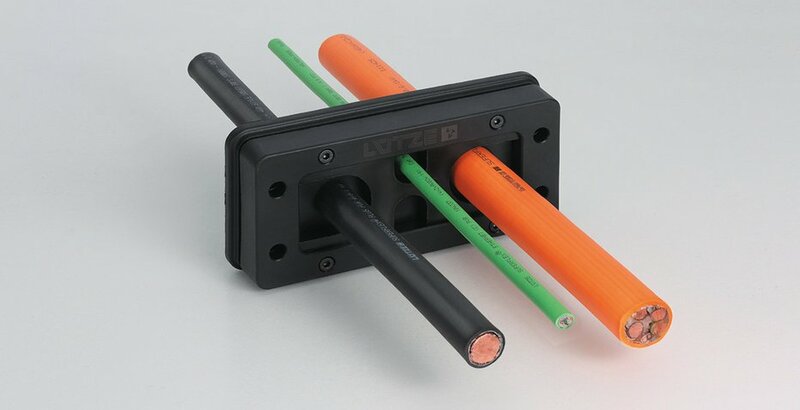 LÜTZE push for more efficiency in Cable, Connectivity, Cabinet and Control – inside and outside cabinet. A tradition in automation for about 60 years - With countless pioneering achievements, LÜTZE is today one of the leading firms in the industry worldwide. Mr. Friedrich Lütze founded Friedrich Lütze GmbH in Weinstadt near Stuttgart, Germany, in 1958. Since then, electronic and electrotechnical components and system solutions for automation and high tech for rail engineering have been designed and produced there. control cabinet manufacturers could for the first time save up to 25% more space than the conventional layout. In the early 1980s, LÜTZE was among the first suppliers in the world featuring its continuous flexing SUPERFLEX® cables. Since the founding of the firm, it has been the corporate philosophy to be among the leading suppliers in the automation industry featuring highly innovative and efficient products. LÜTZE is investing considerably more in research and development than the industry average. The family business is managed by the second generation of Mr. Udo Lütze.